Priyanka Gandhi's entry is indeed a very sorry reflection of Rahul Gandhi. While Congress has won three elections recently in states BJP had accrued staggering anti-incumbency, it has lost election after election under Rahul. New Delhi: The Priyanka Vadra juggernaut has started rolling from Lucknow. The excitement among Congress supporters is palpable, and after the ignominy of getting just two seats in last 2014 general elections, many are keen to pick the scent of success in the woman who looks a fair bit like her grandmother and late PM Indira Gandhi. Middle-aged men in pink jumpsuits have also hit the streets as ‘Priyanka Brigade’. Social media is abuzz. MyNation looks at probable fallout of her formal entry into UP and national politics. Priyanka’s entry is indeed a very sorry reflection of Rahul Gandhi. While Congress has won three elections recently in states BJP had accrued staggering anti-incumbency, it has lost election after election under Rahul. The decision to bring in Priyanka seems a desperate attempt to boost an enervated cadre and ensure that the party does not get wiped out in UP, crushed between the mighty BJP and a strong Mahagathbandhan of Mayawati and Akhilesh Yadav. MyNation has already predicted an imminent fadeout of Rahul Gandhi with Priyanka entering politics. The cadre will make sure that one remains, and the other is eventually elbowed out. An improved vote share in UP as a result of Priyanka’s campaigning is ironically going to work against the Congress and the Mahagathbandhan. It will divide Opposition votes, help the BJP even in the tough seats. A scenario in which the SP-BSP alliance agrees to team up with the Congress is bleak but cannot be entirely ruled out. It is highly doubtful if Mayawati and Akhilesh will agree to cede even 15 or 20 seats to a resurgent Congress. That will not only limit the alliance’s winning potential in UP, but also give Congress a bigger role and bargaining chip in national politics. Priyanka’s influence is likely to be limited to Eastern UP along Azamgarh, Gorakhpur, Varanasi and some other areas, if at all. Rest of the vast state is unlikely to be touched by the euphoria around her. In 2014 elections, Congress’s vote share had come down to 7.5% by a massive 10.75%. 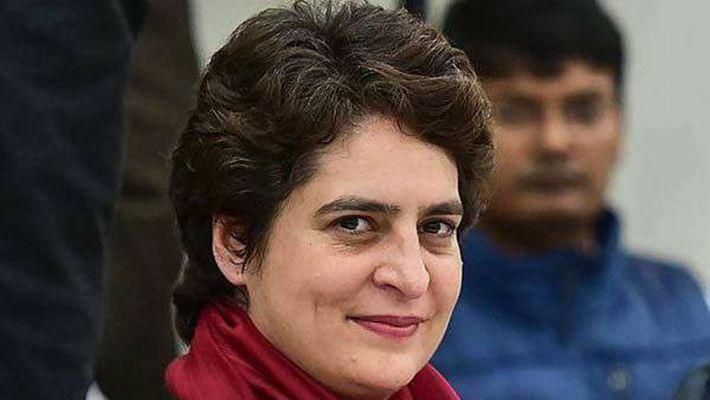 Priyanka’s entry may take it up by 2-3%, considering the Mahagathbandhan will be a potent force. It is unlikely to turn Congress’s fortunes. All calculations could get turned on their head if there comes a breakthrough in the Ram Mandir case. A mass movement or mobilisation could also upstage caste equations and polarise Hindu votes. The Priyanka factor is not going to play out as planned if that happens. Will Congress resort to soft Hindutva as it did before Gujarat, Karnataka, MP, Chhattisgarh and Rajasthan elections. Some early indication in UP point to that possibility. So, after Plan P, Congress will still need a Plan B.